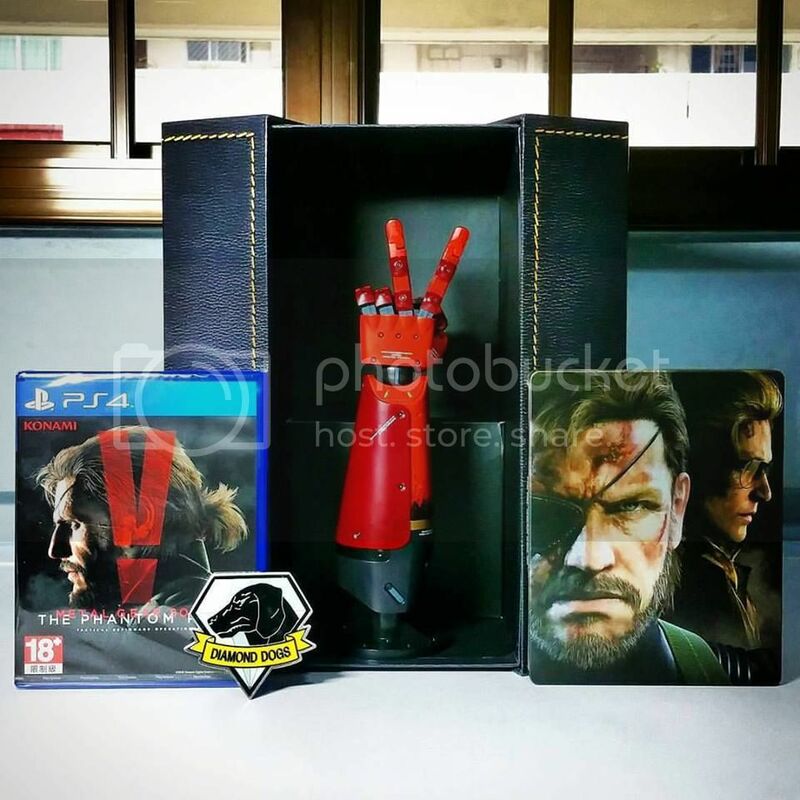 I have never gotten into the Metal Gear Solid franchise even though it's huge, especially in Singapore. I remember trying out MGS3 back on the PS2.. Reviews were great and friends enjoyed it. So I decided to get it. Put in the disc. installed the game and loaded the game.. Well, I could never get past the first area. It wasn't a couple of tries.. It was lots. Decided this isn't for me and kept the disc back onto the shelf. 6 months later, I tried again.. Same thing happened. A year later.. Still the same. I think I tried a few times over the years I had a PS2 but never got past that stage.. That was it.. Lost all interest in that franchise. So.. if you were wondering.. Nope.. 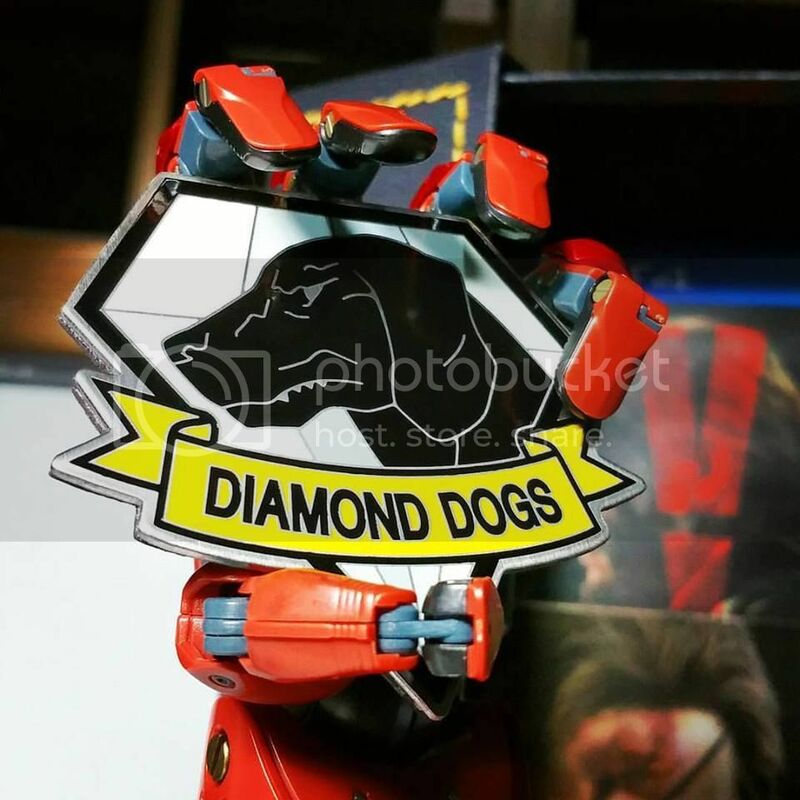 I didn't get MGS V Phantom Pain. So.. 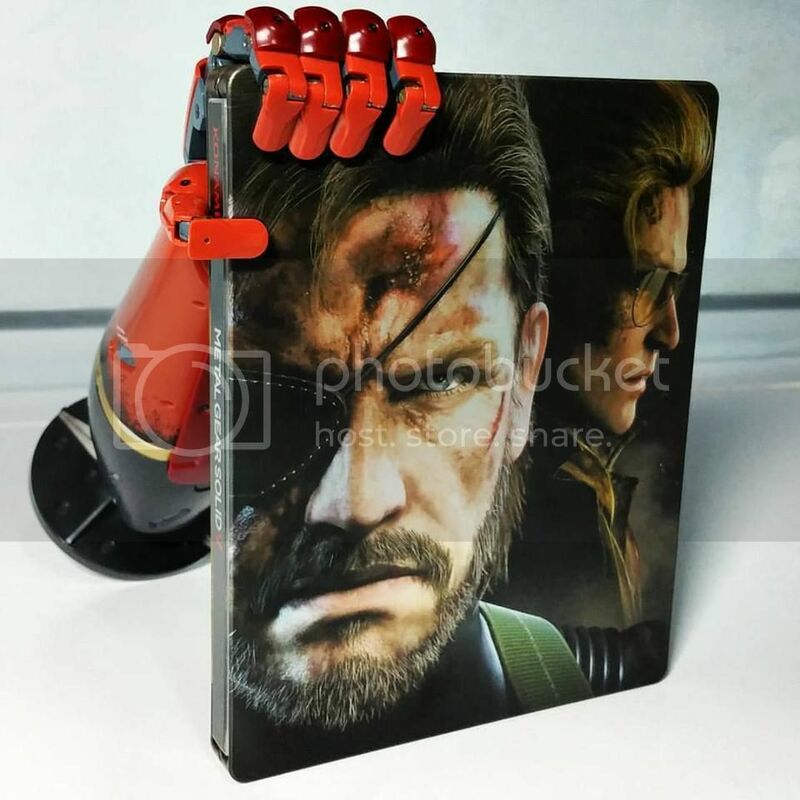 I asked a friend to help me write a review on his MGS V Phantom Pain CE and he gladly obliged. 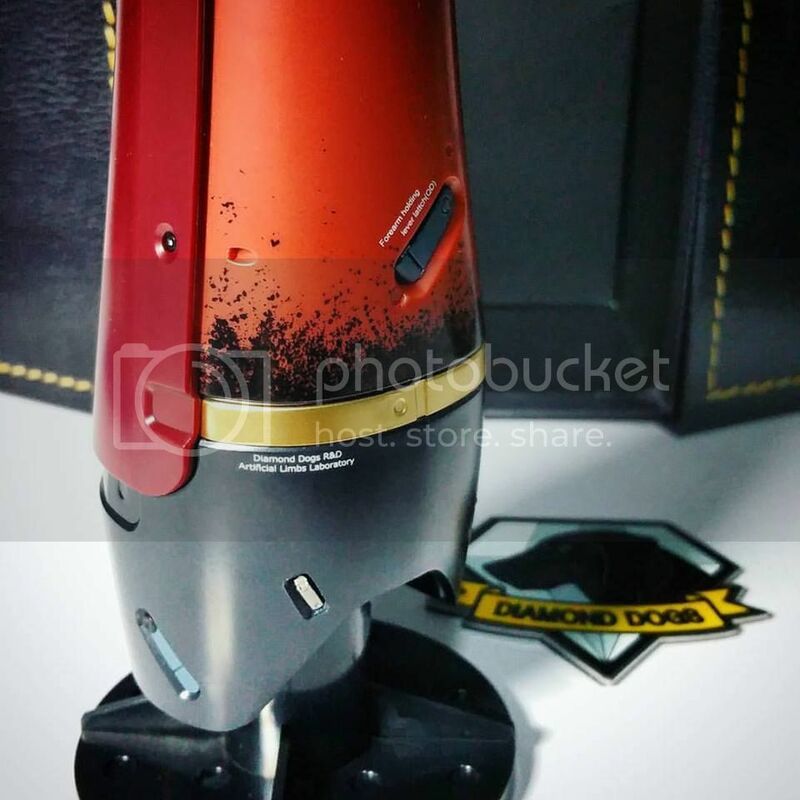 Thank you Louis for sharing your pics and thoughts..
"It's a sleek package that is not as big as some other games' collector's editions. 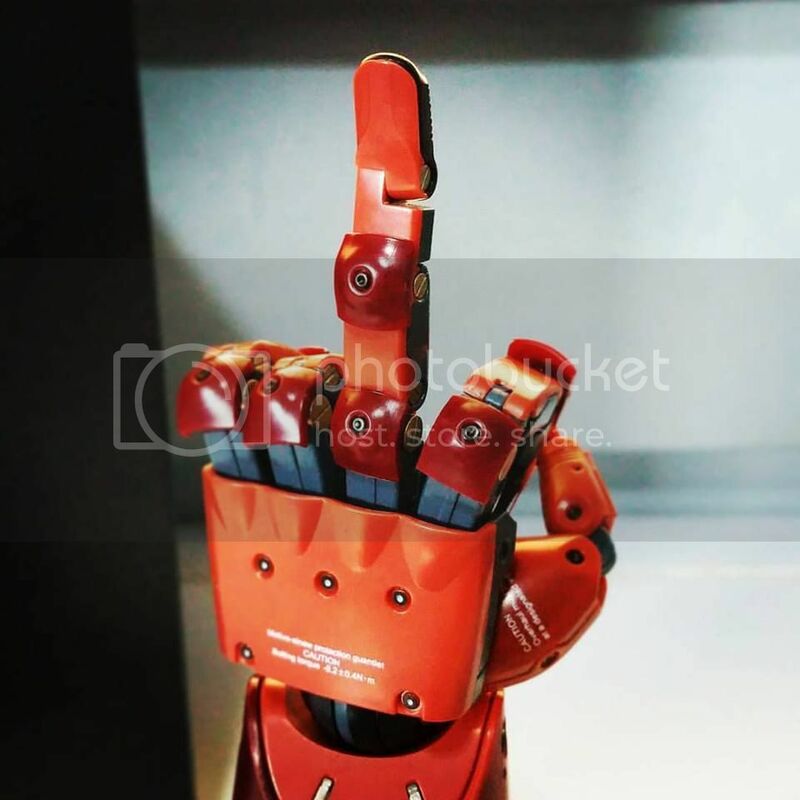 The half-bionic arm's height is about 2 pens high. 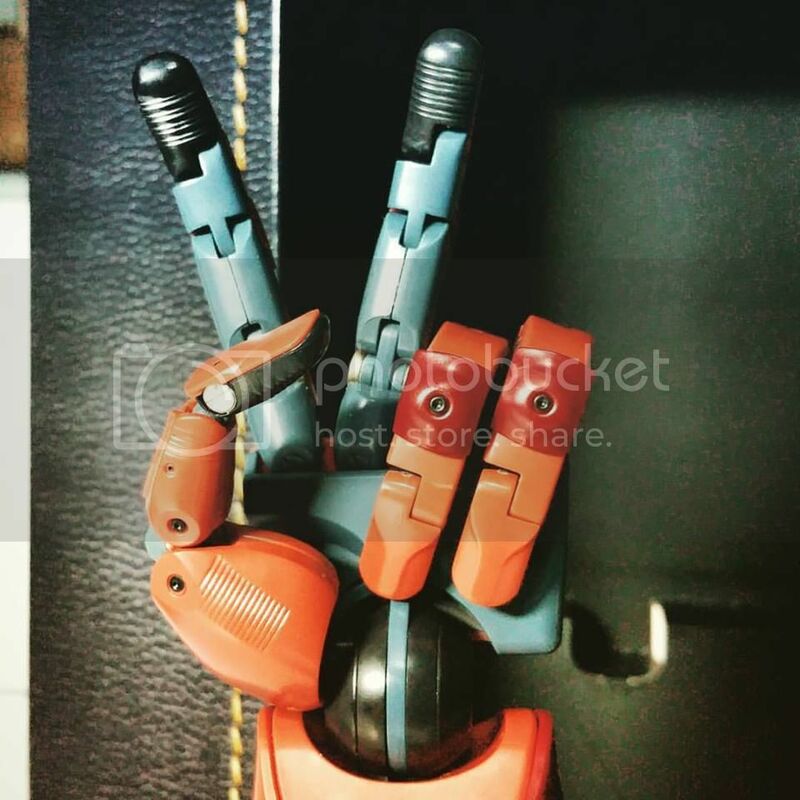 The level detail and over finish of the hand itself is great, and the fingers have more articulation than they first seem. 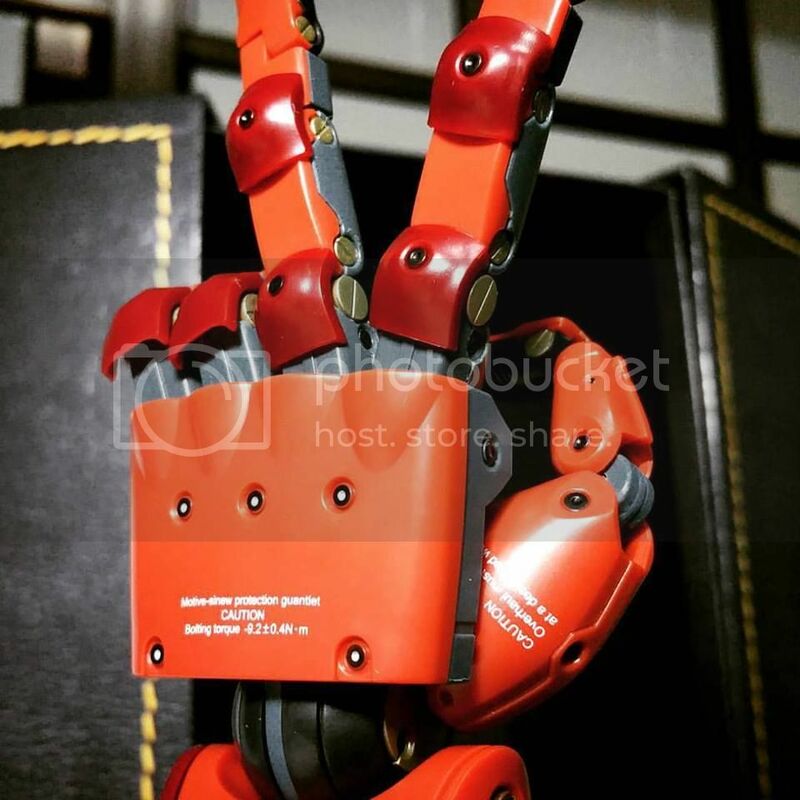 You can have fun posing the half-scale arm in quite a number of ways, but it's not very good at holding objects, unlike the 1:1 scale version which can hold an entire PS4 DualShock. 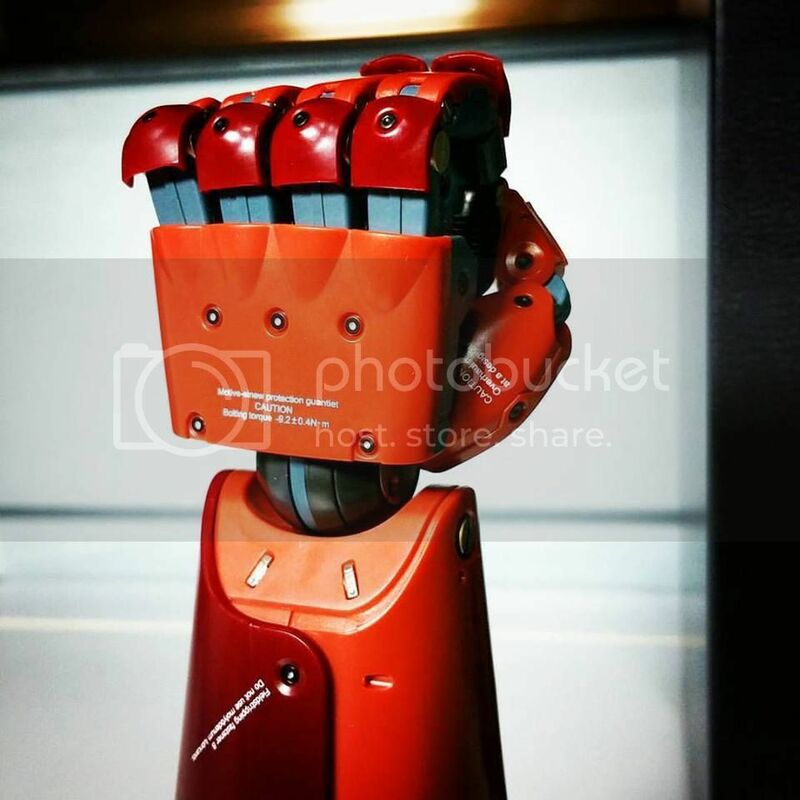 One main disappointment of the bionic arm is that the textures have a simple toy plastic finish for most parts, which the promo pictures did a good job hiding. My photos here have it's contrast and crispness adjusted by Instagram, but the real thing does not look as metallic like the promo pictures show. 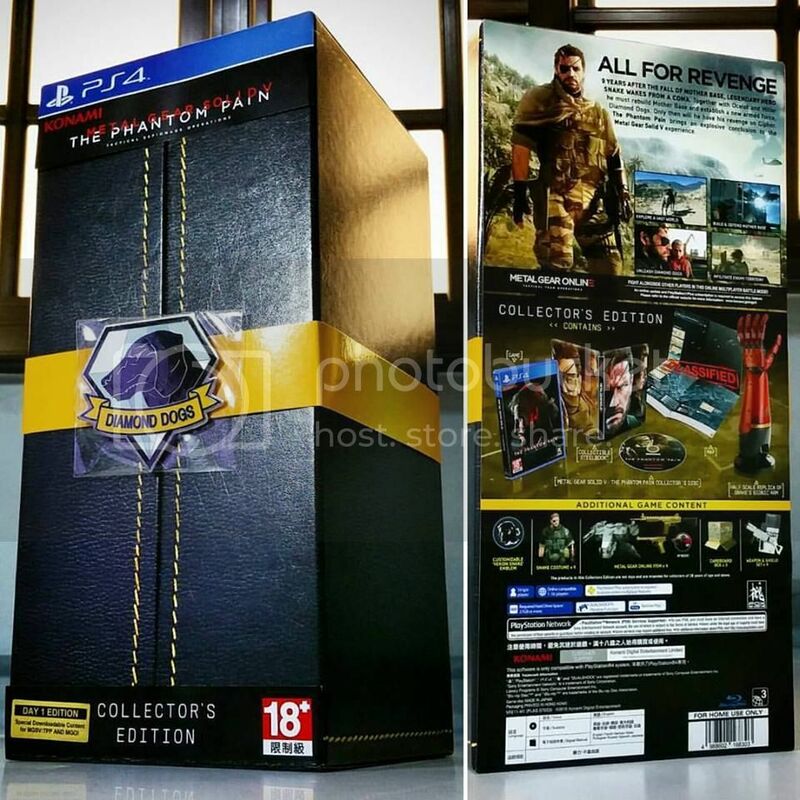 Thus, do not expect the premium texture finish of the MGSV PS4 console. Another disappointment is that the map as shown in the promo pics is actually pretty small and when folded, it fits into the game's blu-ray casing, which I've already sold away without knowing that it was in it (I already have the PC digital version). I thought the package was mishandled. 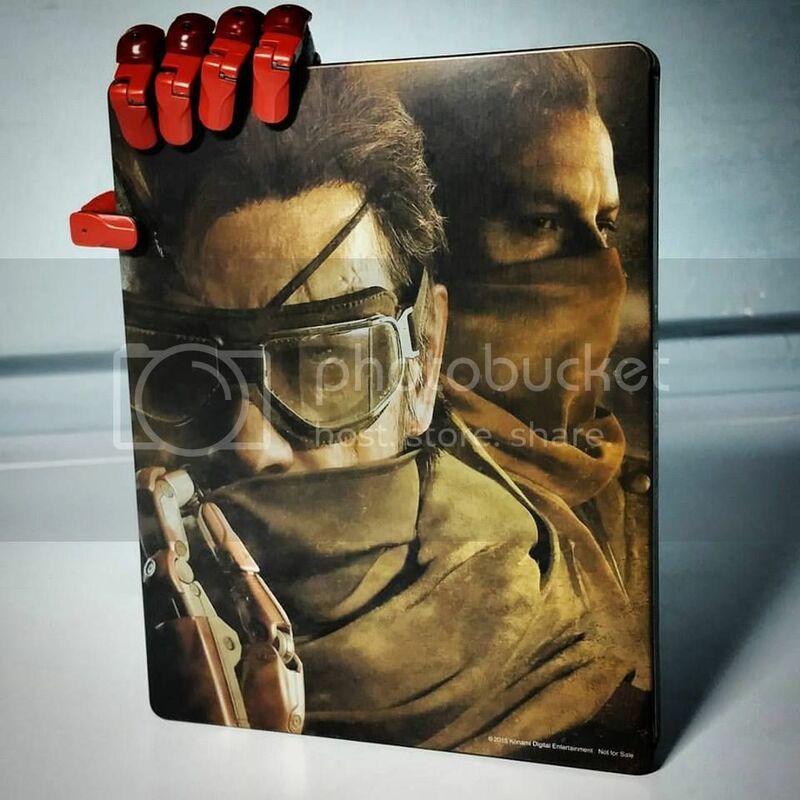 The steelbook is pretty standard, although I wish they could have included the Yoji Shinkawa artwork version from the Japanese special edition. 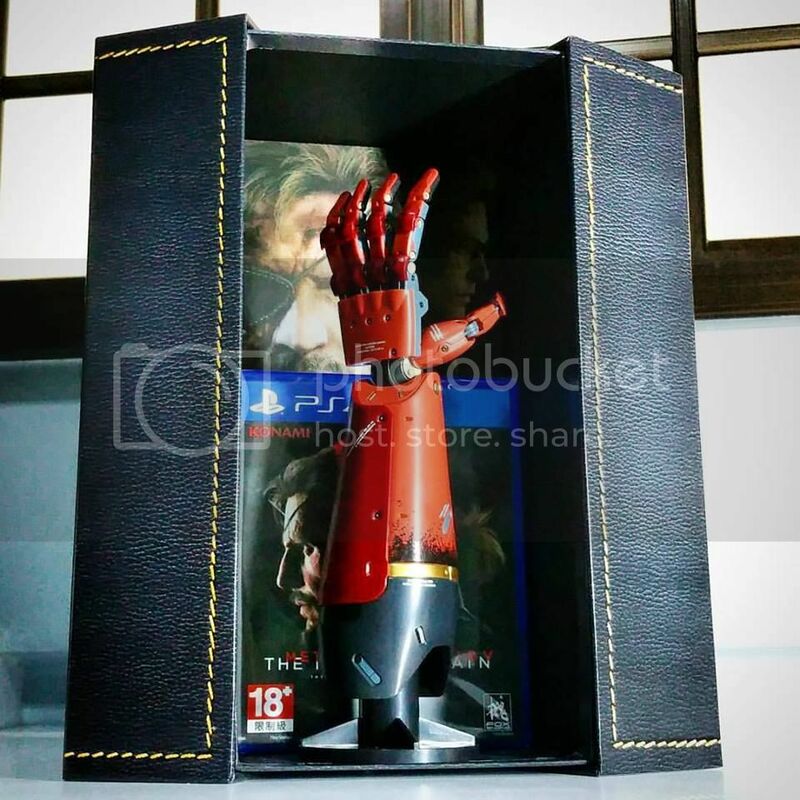 Overall, I have a feeling this CE with the half-scale bionic arm is just an average package at best when compared to the Japanese CE, which makes sense since its price is 40% of its larger brother. 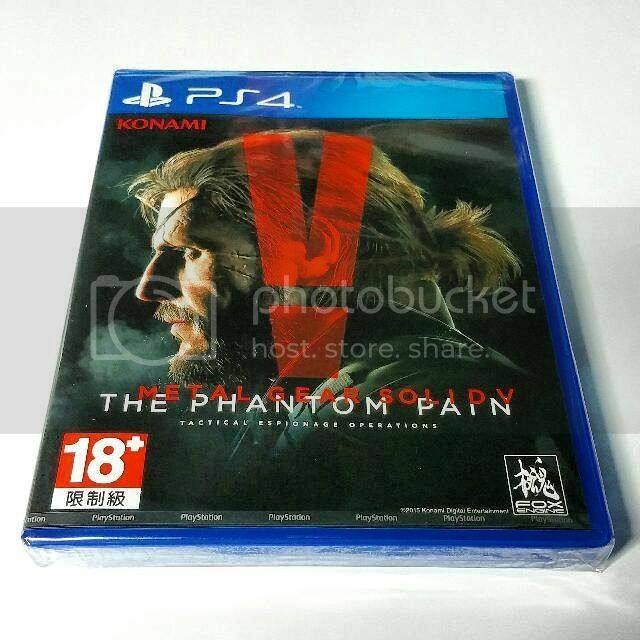 Nonetheless, I bought this CE as a keepsake and to support the MGS franchise, but it's probably the last cent that I will ever give Konami."